A whistle echoes through the walls of a deep valley as you hear the unmistakable chuffing of a classic steam locomotive approaching. The Echo Valley Express is steaming ahead with carloads of coal to fuel America's hungry furnaces. 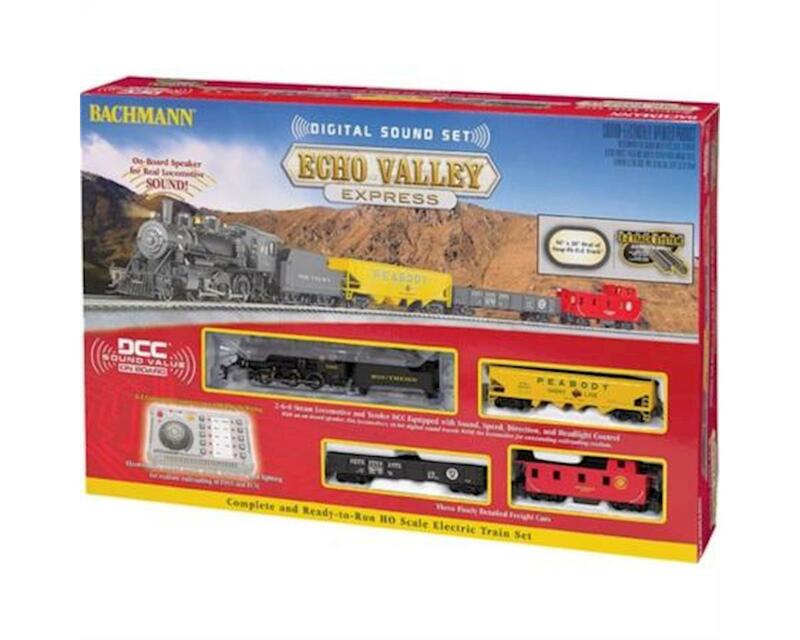 It features a DCC sound-equipped Baldwin 2-6-0 with a steam sound package that includes authentic prototypical chuff, short and long whistles, bell, air compressor, and blower-all in polyphonic 16-bit sound that you can control with E-Z Command digital control system.